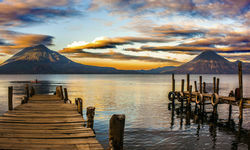 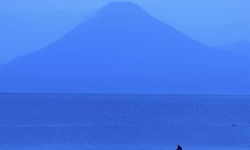 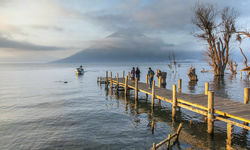 A huge body of deep blue water that stretches into the distance and takes at least half an hour to cross by motorised boat, the lake has an amazing setting, ringed by imposing volcanoes. 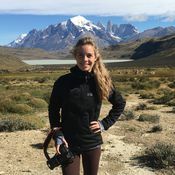 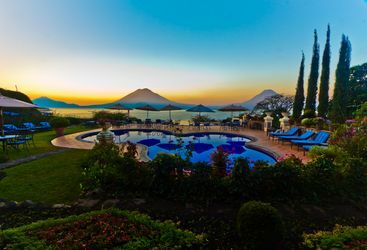 This is a fabulous place for hiking, mountain biking, kayaking, or just relaxing in one of the elegant hotels around the lake's shoreline, and it also has a strong spiritual feel too. 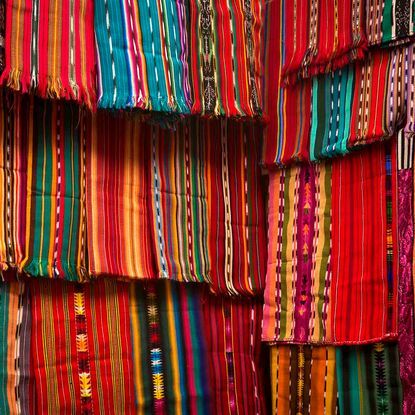 If you are interested in Guatemala's colourful indigenous population, taking a boat trip to visit the villages that hug the lakeshore, such as Santiago, Santa Catarina and San Antonio, is highly recommended. 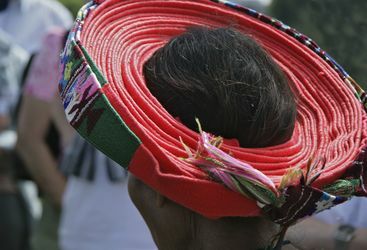 Maya customs and beliefs are strongly adhered to in these tiny remote communities, whose residents proudly wear traditional dress that distinguishes each town from the next. 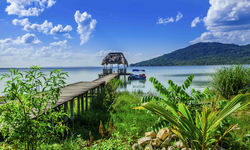 We recommend taking a helicopter from Antigua, which avoids a long drive and means incredible views of the Mayan site of Iximche, and the volcanoes surrounding the lake. 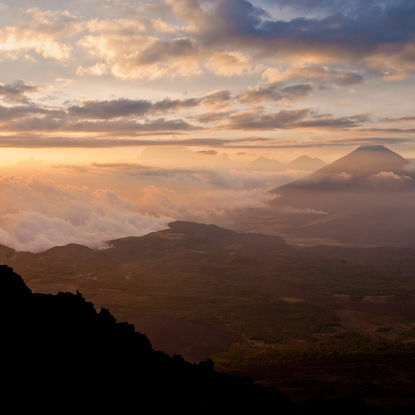 Head out on a privately guided hike up the active Pacaya Volcano, starting in the surrounding pine forest before heading up the trickier molten rock area where hot steam seeps through crevices at the base of the volcano. 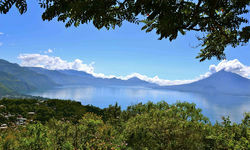 Learn about Pacaya's formation and evolution as you traverse its ever-changing face, and take in views of neighbouring volcanoes, pacific lowlands and even El Salvador. 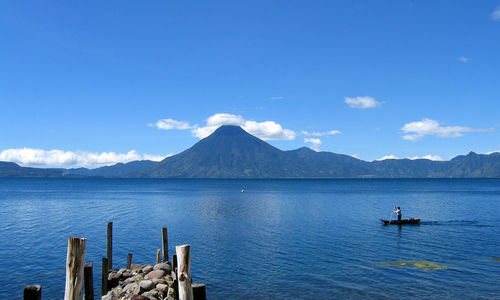 Take a leisurely kayak tour of Lake Atitlan, starting in San Pedro la Laguna and ending up at Las Cristalinas beach where you can relax on the white sand and swim in the lake. 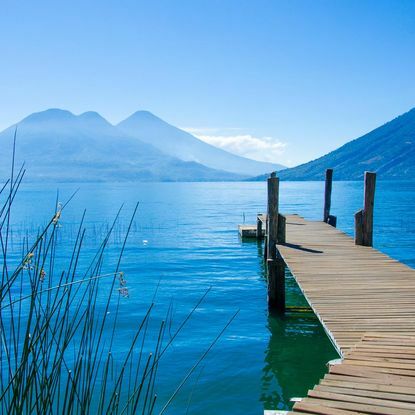 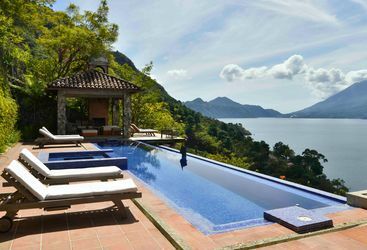 On your way, enjoy views of the lake's surrounding volcanic chain including Acatenango and Fuego, and the many lakeside villages that you can visit en route. 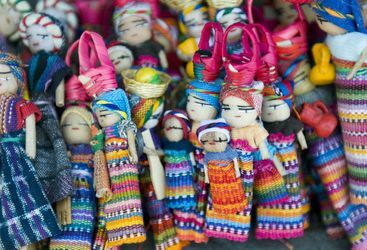 Two hours from Lake Atitlan, the traditional market town of Chichicastenango, with its red-tiled roofs and narrow cobbled streets, feels like stepping back in time and is the perfect place to pick up some local artisan crafts. 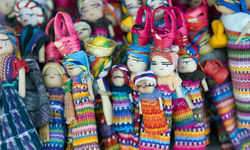 Visit on the market days of Thursday and Sunday when indigenous Mayans from surrounding villages come to trade their wares. 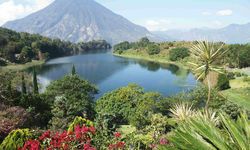 My highlight: There is no more spectacular way to travel to Lake Atitlan than by helicopter from Antigua: you'll pass over the city and the volcanoes of Agua and Acatenango before getting a bird's eye view of the lake itself.